If your computer suddenly shuts down, it can mean one of two things. It could be that your computer has internal problems that must be fixed. Another cause could be hardware component faults. The good news is that a computer suddenly shutting down is not uncommon. The real challenge is to determine the cause of the problem. Narrowing it down will help you find a fix. The newer computer models are designed to automatically shut down when internet components are overheating. This is a safety feature that guarantees your computer is protected from more serious damage. Your device could heat up significantly when the internal components are made to work overtime. An example would be using it for several hours at a time with no rest in between. In some cases, graphically-intense games can cause your computer to overheat. A computer has an internal fan to help cool its inside structure. That is why you need to check if the fan is working when your computer suddenly shuts down. Remove the case when checking the fan to ensure that it is working properly. Look at the other components such as the video card and processor. If there is any squeaking sound from inside the case, this could indicate that the fan is malfunctioning. Aside from the fan itself, the power supply could be the source of the overheating problem. When the power supply overheats, it can cause the computer to shut down. Feel the power supply with your hands. If it is hot to the touch, it is a good indicator it was the reason why your computer shut down. If you open your computer case, now is a good opportunity to clean the inside as well. This will help to get rid of dirt and debris that can slow down your device. The same dust and debris that have accumulated inside your computer can prevent proper airflow. Without proper airflow, your computer is prone to overheating. Opening your computer in case of overheating is only applicable to desktop computers. Do not attempt this with a laptop. 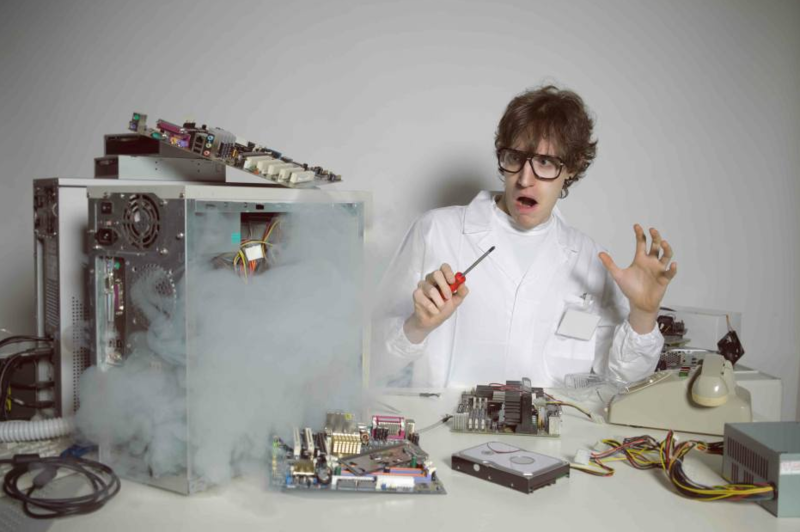 If you have physically inspected your computer and there are no apparent signs of overheating, the problem can be due to faulty hardware. Before you attempt to remove any piece of hardware, check the Device Manager for any errors first. If you installed new hardware, try to remove it to see if it was the cause of the problem. If you did not add new hardware, remove the non-essential hardware. Do this systematically to ensure that you do not cause more serious problems. Some of the types of hardware that you can remove include the network card, modem, sound card, and other types of expansion cards. The UPS or surge protector can also be the cause of the computer shutting down on its own. A faulty UPS can potentially report bad power situations that prompt your computer to shut down to protect itself. To check, disconnect your computer from the UPS. Plug it directly into the electrical outlet on the wall. If this step has fixed the problem, your UPS was a faulty one or needs replacement. To prevent your UPS from damage, you should limit the devices that are connected to it. It is also recommended that you perform regular software updates. This is another common reason why your computer suddenly shuts itself down. A virus or malware could infect your system and cause problems on your computer. If you notice that your computer is executing a program on its own and shutting down after, it could be infected. You must download a virus scanner immediately (if you don’t already have one). In case you have a virus scanner already installed, make sure it is updated. This will protect your computer from any viruses that can cause it to malfunction, such as shutting down suddenly. Make it a habit to perform a full virus scan on your PC as well. HelloTech can also help with virus and malware removal. The operating system is another potential reason why a computer shuts down on its own. Check things on the operating system level if you have tried to fix everything else and the problem persists. The best way to check is to reboot the computer. Upon starting again, enter the CMOS setup. Leave it idle and wait if it turns off on its own. If it doesn’t, your OS might be corrupt. This will entail a lot of work to fix as you have to erase everything. You must re-install your operating system and try again if the error still exists. A professional’s assistance might be needed. There are a few other hardware parts to look into for solutions. This is recommended when you have checked other possible sources of the problem yet nothing worked. 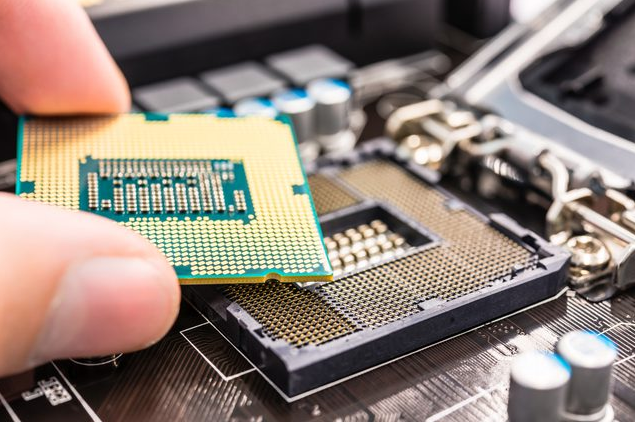 The RAM, motherboard, video card, and power supply are just some of those hardware components that could cause the problem. Check if these hardware components have issues of their own. It is also recommended to have your computer memory checked to make sure it is error-free. Otherwise, it can also cause your device to behave abnormally. While it is a common issue among PC users, sudden shutdowns should not be taken lightly. Your computer might become more damaged if ignored and you risk losing files. Address the problem right away or have your device professionally checked by HelloTech. How Do I Remove a Virus From My iPhone?